You’ll be able to find both these new weapons in the in-game Market or in your Clan Research when the update goes live! You’ll be able to find both these new weapons in the in-game Market when the update goes live! Plague Star is returning to XB1 on November 2nd! A forum thread will be posted when the Operation goes live with all the information you need to burst that boil out in the Plains of Eidolon. New “infinite” (99 items) Gear spiral! Duplicate Gear items (Apothics, Stims) are restricted, with the exception of Dragon Keys! Added an A / B / C Customization config option for Operator clothing and accessories! Added a ‘Relics’ category to the player Inventory menus. Added new aiming in/out transition sounds for Archwing weapons. We added these for primaries and secondaries in 22.17.0, but you’ll get to hear them in SPACE! Spores scaling Damage per second cap has been reduced from 10 to 7. Revenant’s Reave will follow the direction of your reticle as opposed to always in a straight line. This allows you to steer it freely. You can of course maintain the original behaviour of a straight line by simply not aiming your reticle, but for those of you wanting better control over where Reave goes are now able to freely steer! Revenant’s Reave wall width will be affected by Range Mods. Revenant’s Reave will also sheds Status Effects on cast and applies them to targets it hits. Phantasma’s Alt Fire homing projectile amount is no longer based on charge time. Alt Fire will release 5 total homing projectiles. Phantasma’s Alt Fire damage per projectile will scale based on charge time. Over 40 FX Decorations and 7 structural Decorations will be added for your decorating enjoyment! A brand new Sandbox room will be added! The ‘INSPIRATION HALL’ is an empty great hall is a blank slate awaiting inspired designers! All Display Decorations will be usable in Dojos, as well as a ‘Text’ Decoration! A confirmation prompt will appear when a Clan Chat Moderator attempts to kick/ban a player. You will be able to toggle ‘Disable Operator’ on/off from the Dojo Obstacle Course console at the entrance of the room! The Clan screen will display the remaining time to those who have not yet participated in the Ascension Ceremony (if one is active). Ammo will be successfully restored when a Dojo Duel is over. Disabled the “Change Loadout” button from appearing when an invite is up on screen. Additionally disabled the “Invite” button from appearing at the same time. The invite will have to be dismissed before trying to invite someone to your game. This fixes the issue of being unable to accept invites while on Navigation using a controller since X opened the “Change Loadout” screen. No longer force double-selection to equip Arcanes. Icon callouts will be displayed for currently bound actions when changing bindings. Introducing a ‘BEAST’ category for Kubrows, Kavats (instead of COMPANIONS) and the Helminth Charger, and added ‘ROBOTIC’ category for Sentinels. Remaining Mods that indicate ‘COMPANION’ are useable across all Companion types. Archwing Launchers will be infinite use! It will also auto-equip instead of having to locate/pickup the Launcher spawn. Primed Quickdraw will be tradable! The Klebrik Scaffold will reset Sentient resistance as it was intentionally meant to. Ammo Stations in the Plains will only generate Ammo used by the weapon of the player who activated it. Also lowered the Ammo Station cooldown by half. Changed to show un-owned ‘bundle-only’ skins in the Arsenal where appropriate (i.e viewing a single Sword Appearance options). The Price tag will reflect these are ‘bundle only’. Simulacrum enemy level selection popup will default to currently selected enemy level. Fishing Hotspots should be identical between all players (Host & Client)! 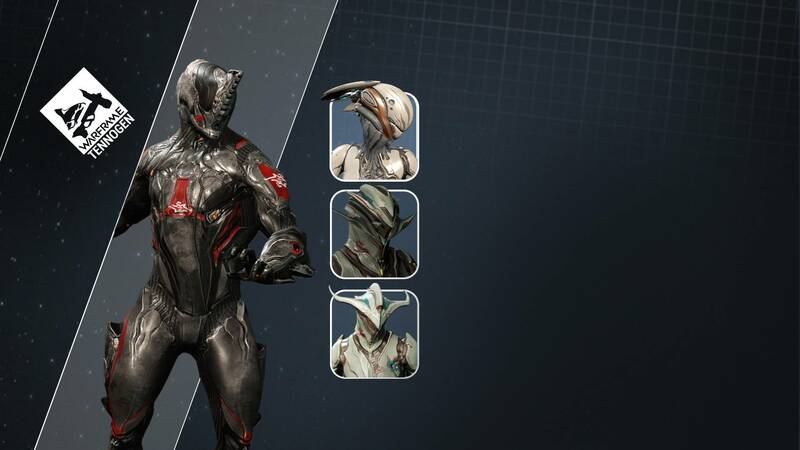 Operators will no longer play their Idle Animations when customizing them – similar to Warframes. Fixed issues with armor and Emblems on the Oberon Blade of the Lotus Skin. Fixed many Syandana clipping and placement issues. Many script error and crash fixes!